Stripe rust was detected on 18th Dec 2015 in Anandpur Sahib and Ropar districts, Punjab and subsequently in Hoshiarpur district. The variety affected was HD-2967. Following the first detection, the Indian Institute of Wheat and Barley Research (IIWBR) and other authorities are stepping up their efforts to curb the spread of the disease and urging farmers to be vigilant and take appropriate control measures. 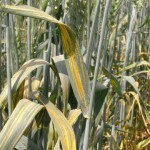 These first reports are slightly earlier than in previous years, but the locations are consistently the first places in India where stripe rust is detected. 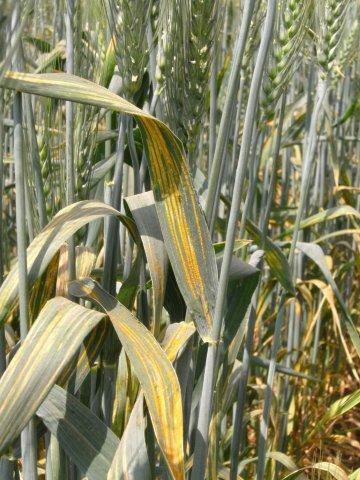 Several Indian media sources are reporting the first appearance of stripe rust in Punjab (see The Tribune, Business Standard, The Hindu, Times of India, The Tribune). As in previous years, Indian authorities are responding to these initial outbreaks in a rapid, effective and well organized way.